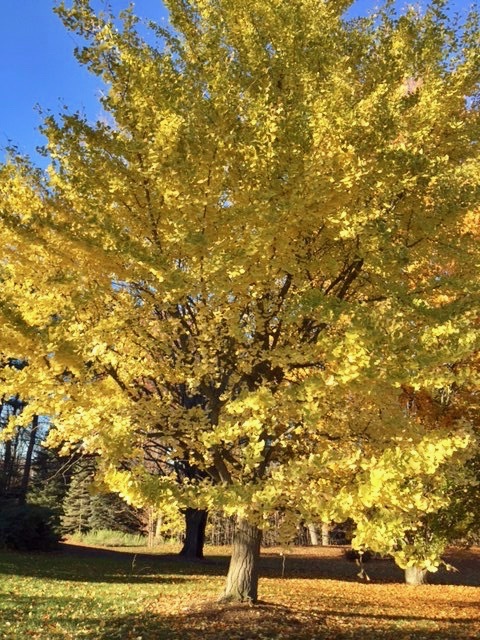 The Sunday after Thanksgiving, I opened my shade to a vibrant, sun-lit sky. The bedroom window faces a row of tall, spindly pine trees and my neighbor’s leaf-filled yard. 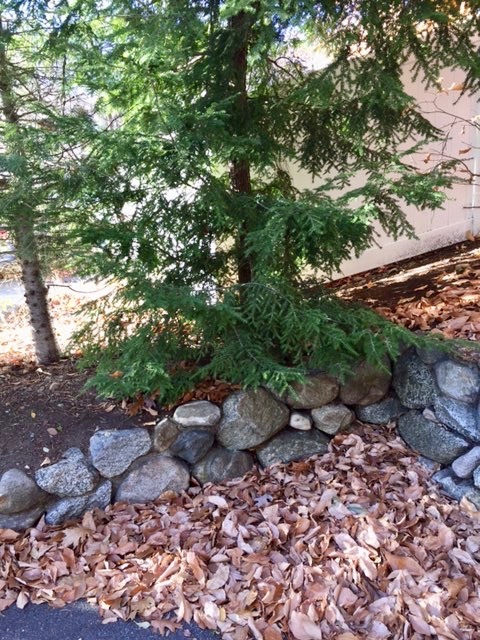 From my perch at the edge of my bed, I followed a lone russet leaf as it floated, feather-like-in its drift downward, to join the growing leaf pile tucked into the stone wall corner at the back of the driveway. American Beech tree crowns hang over the back of the driveway. Their leaves drop late, often long into the winter when rattling winds cannot cleave them from their branch until the leaf is ready. Southern in origin, they hold fast to their nature. This past week, the wet, dreary, foggy weather fit my mood. Readers are aware that I voted for Hillary and struggle with President Elect Trump who is very far from my own nature. Like the leaf, I am drifting, ever so slowly in an effort to find the right place to land. Up to November 9th, I was content in the Liberal pile and at times, leaning towards the Progressive. Now, I am clearly left of center, opposed to and resisting the choices, values and beliefs of the upcoming Trump administration. On alert, I float, open to activism in the service of a viable democracy. I sign petitions, send money to causes I believe in, causes at risk. I plan to send a“ Not Bannon” postcard addressed to Donald Trump, c/o The Trump Organization, 725 Fifth Avenue, New York, New York, 10022 tomorrow. Opposing the Bannon influence of linguistic manipulation and white male supremacy with neo-Nazi leanings is a top priority. As soon as I read of Jill Stein’s Crowd Source Recount Fund, I signed on. 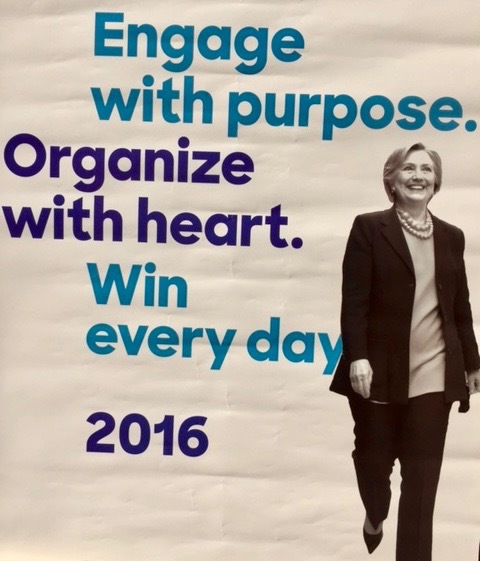 I felt a surge of hope when I received a Washington Post notice that Hillary’s campaign will participate in the Wisconsin recount with an eye on outside interference. I have never believed in conspiracy theories but in this post election environment, I believe that conspiracies are possible. We need to work for and insist upon transparency especially in the electoral results. A friend recently wrote of her efforts to make phone calls to Senators and Representatives. Apparently, e-mails are less effective than phone calls. I need to focus and select who and when to call. If you have experience with this tactic, please leave a comment with details about the issue and who you are passionate about contacting. Readers, I would like to hear about your efforts to make a difference in this post election environment. We need to share information and show strength of purpose and flexibility in our ability to discern what is the right course for each of us to take. I am grateful for this blog and the opportunity to reflect, share, speak out and learn from others. I welcome your experience and comments. Please share. 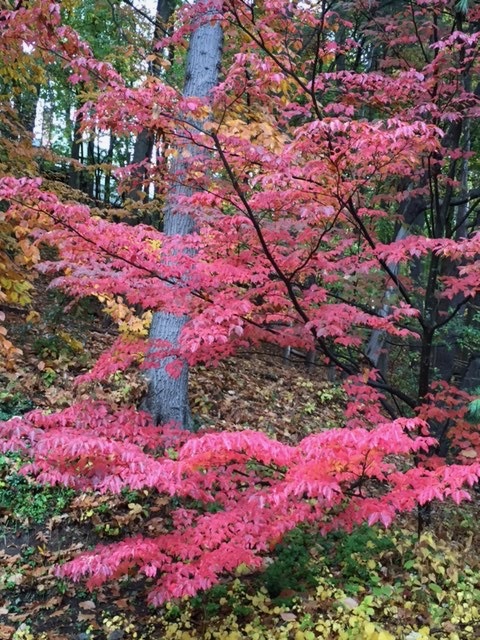 This entry was posted in Creativity, Currents, Mindfulness, Nature, Relationship(s), Uncategorized, Well-Being, Writing and tagged activism, American Beech trees, community action, transparency on November 28, 2016 by fayewriter.